1) I’m going to bore you all. 2) I am going to run out of blogging material – this is very unlikely. 3) It becomes a chore and takes the fun out of it. 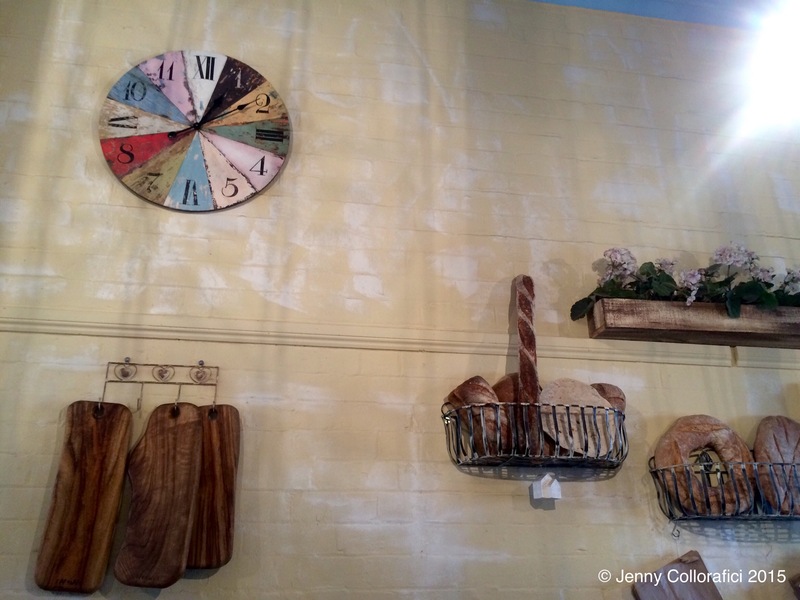 So hopefully this blog post won’t bore you, but inspire you to feel the Italian food vibes! 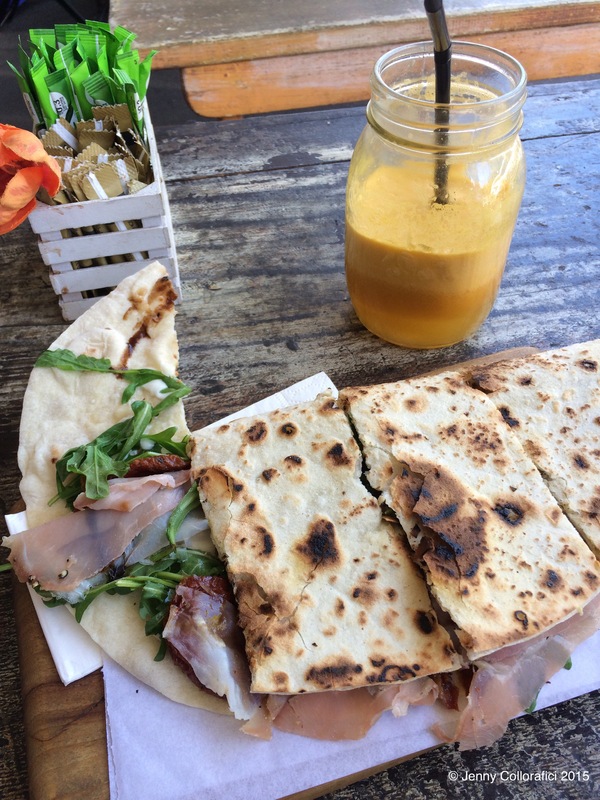 Piadina is a traditional Italian flatbread originating from the region of Emilia Romagna – served in a bar, on the street, cafes – filled with various cured meats, cheese and vegetables – it’s incredibly tasty and read the below history! 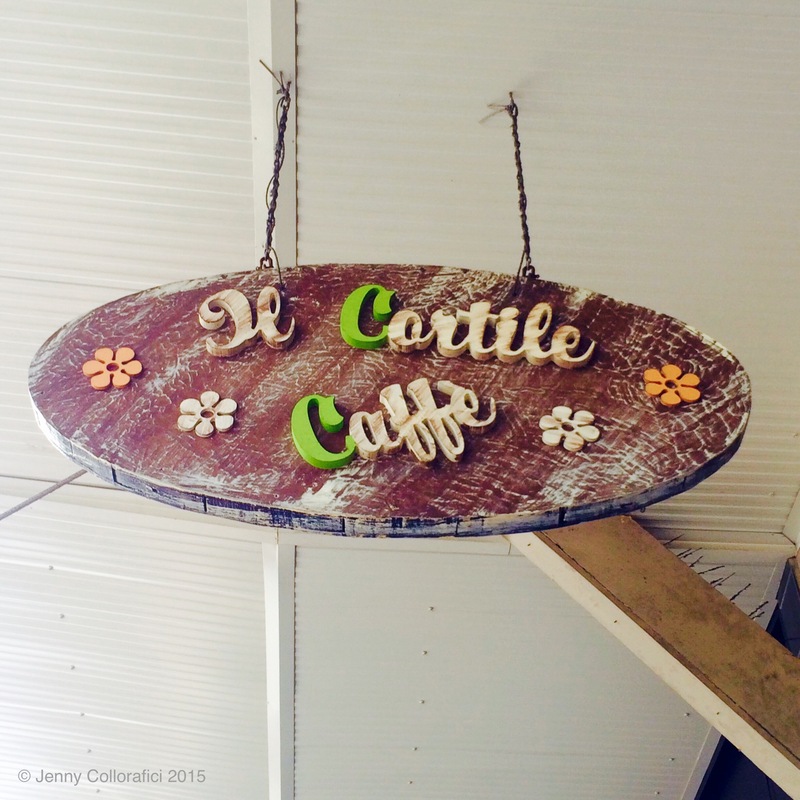 Il Cortile Cafe is located along Glebe Point Road … They are ambassadors showing the locals how they like to keep food simple, fresh and organic. 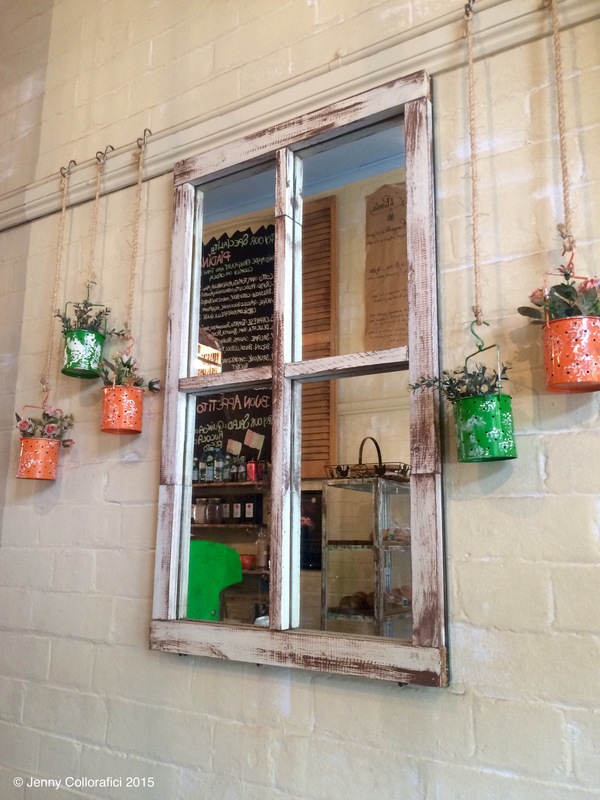 They mimic the simple minimalist style in their decor with a beautiful manner utilising rustic pieces such as timber, garden chairs, crawling green vines, exposed brickwork to beautiful window shutters … Very European and very pretty. This gem of a place is around the corner from where I live and it’s become a place where they should know who I am :)! 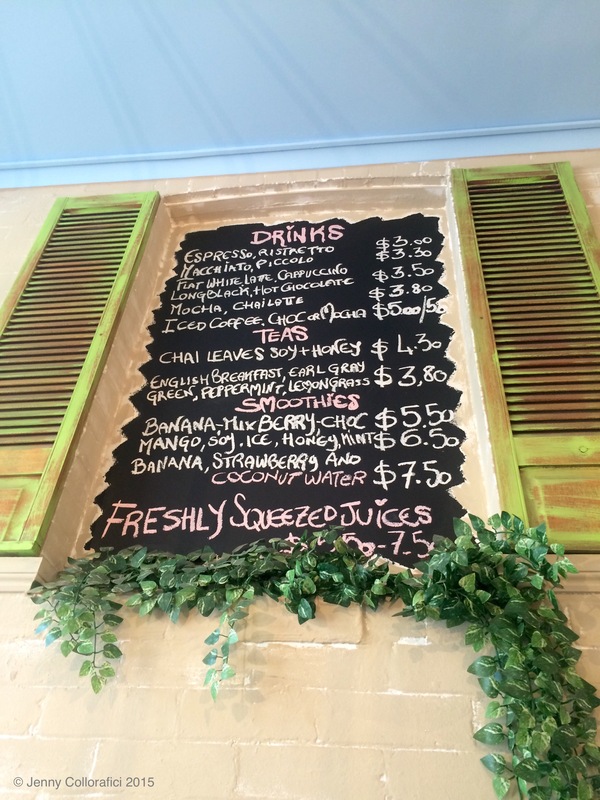 … I am the person who orders multiple piadina “specials” and the one who had a stink bug attack me – yes you read that right! With a piece of Italy around the corner from me was a perfect remedy for my boyfriend’s nostalgia of authentic Italian food – it’s a hit. 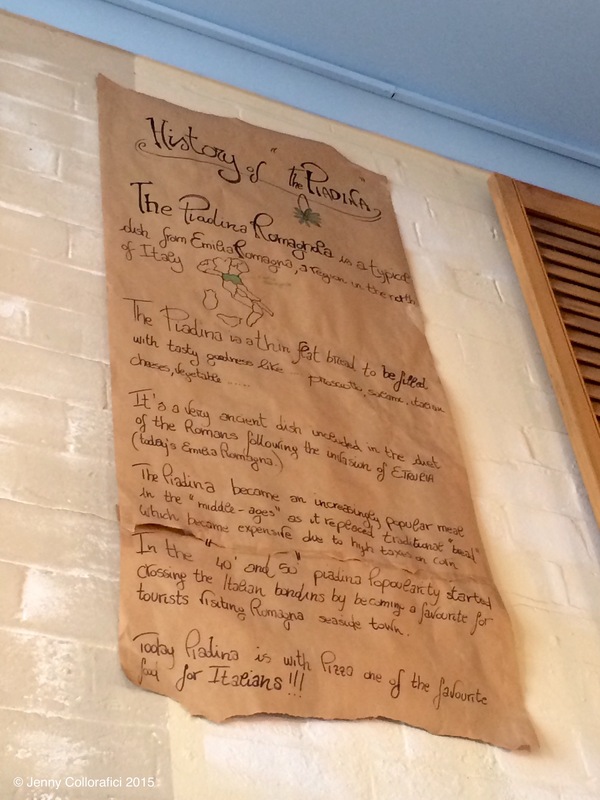 Owners are from Milan and share a passion for sharing amazing food to Sydney. 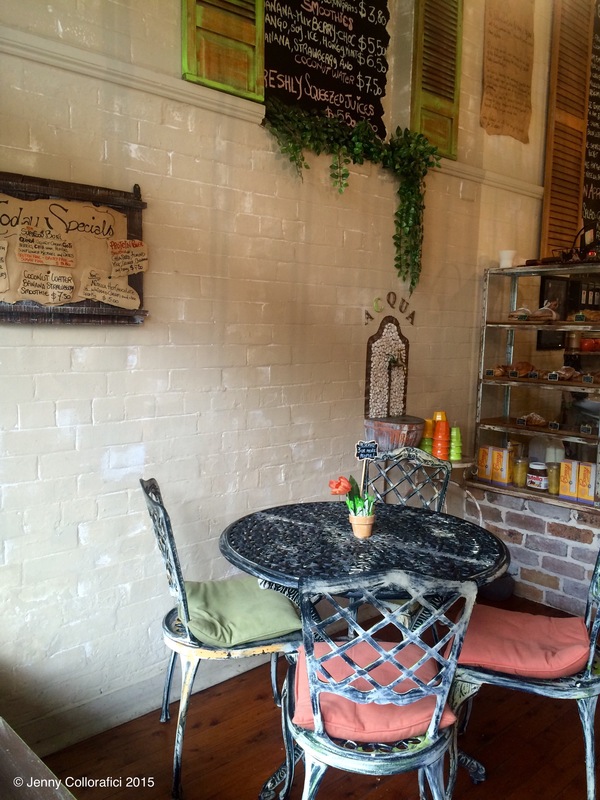 So now that you know more about Piadina, let me take you on that heavenly tasting journey ..
Il Cortile Cafe serve many treats and although they specialise in Piadina they do incredible fresh juices, coffee, sweets, breakfast and salads – catering to those who need gluten free or any other healthy options. 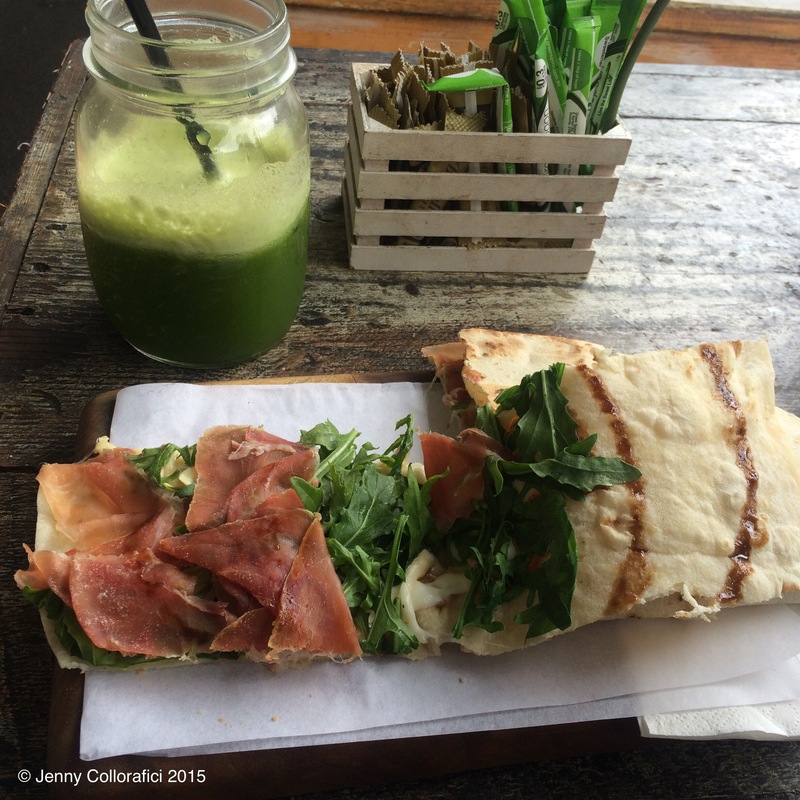 So when it comes to food, my obsession must somehow incorporates cured meats and dessert … So imagine putting anything in a Piadina?! But making sure the combination is perfect each time! 2) Salami, Sundried Tomato & Provolone Cheese. 3) Ham, Tomato, Mayo, Mozarella Cheese. 4) Bresoala, Rocket & Parmesan Cheese. 5) Salami, Pesto, Rocket & Mozarella Cheese. Plus many more fillings of cured meats, cheeses, condiments, sauces and salads+vegetables … Anything and everything delicious just goes! 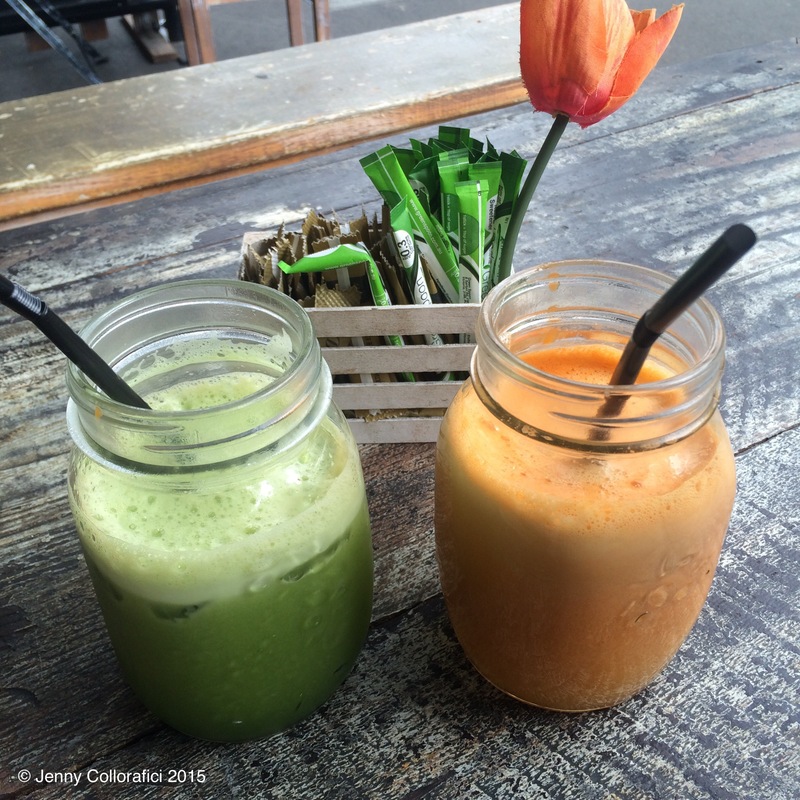 Plus match it with a freshly squeezed juice! DOLCI (aka. dessert?!) … Si! 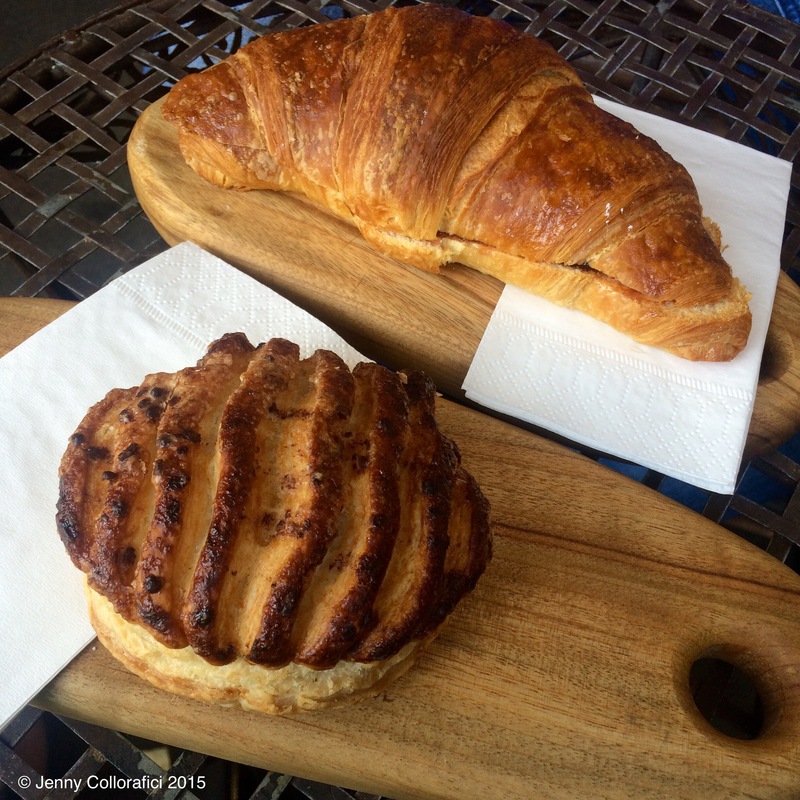 Never ever will I turn down dessert – says my food baby of 2 years … If Italians know anything well, it’s sweet treats. 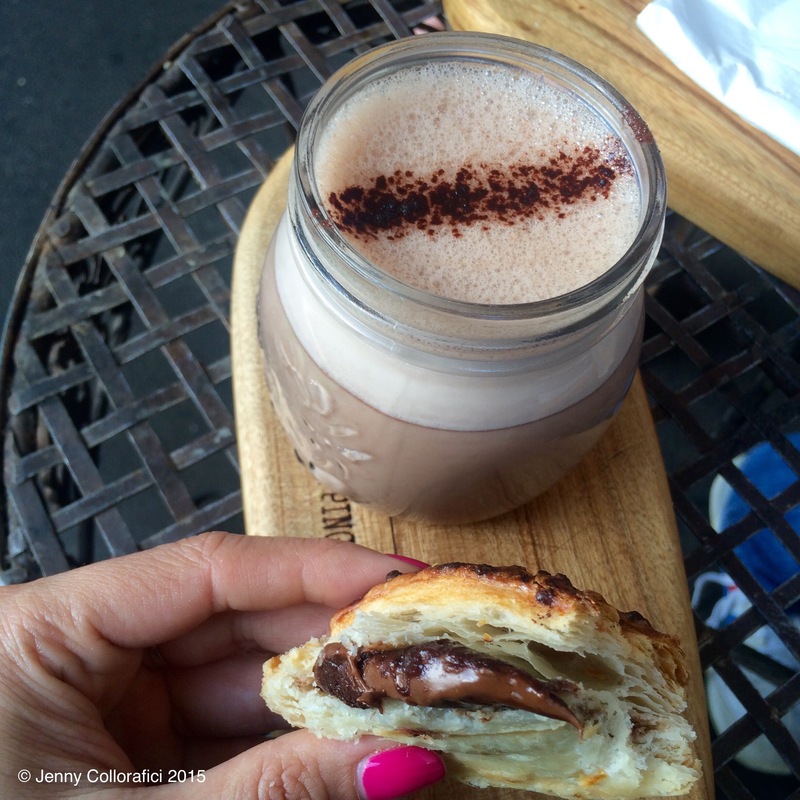 Cornetto – Italian Pastries filled with jam, cream, custard, chocolate … Conchiglia – Italian pastries filled with chocolate/nutella … And a noteworthy mention is the NUTELLA Hot Chocolate … Now I know that it’s not quite “hot chocolate” weather but WHO CARES! What impressed me the most is that this is not already around and easy to find … Everyone loves Nutella and if you don’t, let’s re-evaluate our friendship haha … So Nutella-y and creamy and they are accommodating to make it with soy milk – this is a wave of Nutella happiness to my heart. 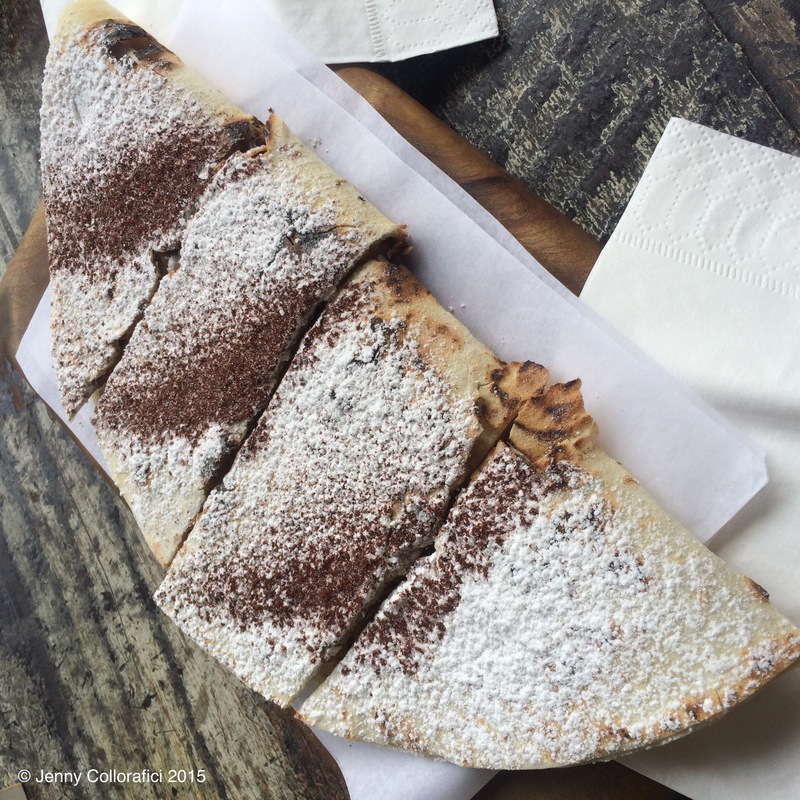 SWEET Dessert Piadina … Sweet hallelujah and thank you for bringing a slice of happiness heaven to my life. Piadina can be filled with anything people!!! … This one had a spread of Nutella, sliced banana and covered in a dusting of chocolate powder & icing sugar. 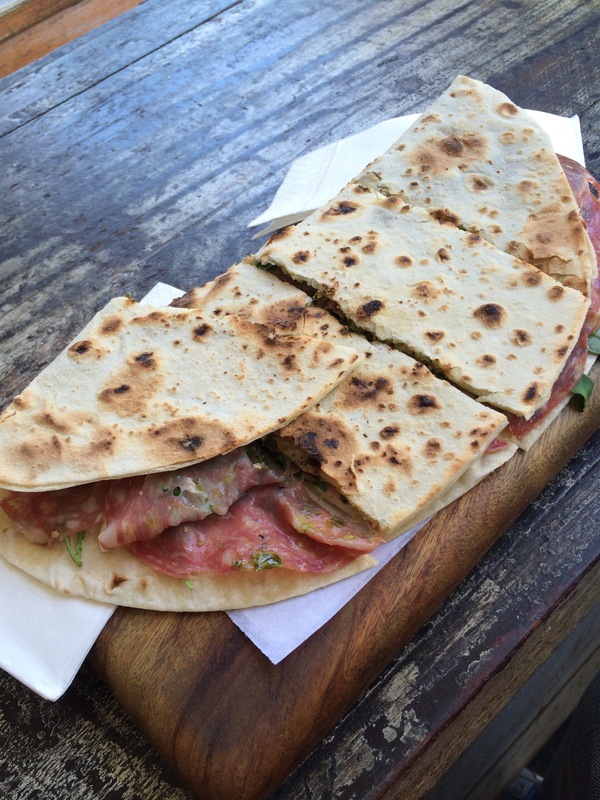 What I love about Piadina is as it’s warm & freshly toasted, the Nutella oozes like lava & slightly melts. 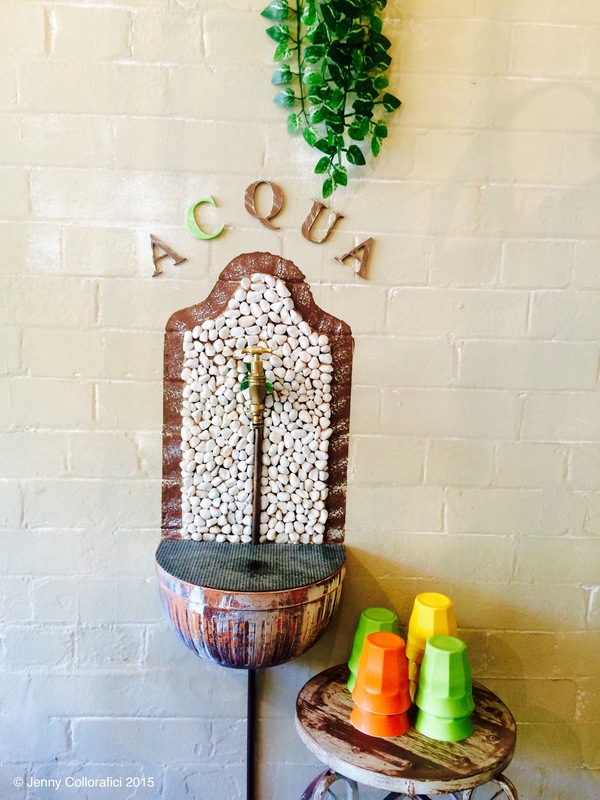 All you Sydney Inner Westies Folks … Do yourself a favour and check out this place … You will be amazed about the simplicity of Piadina and all it’s deliciousness – it’s like nothing else in this world. As we have the race to Christmas, I will try to squeeze in one last post! … Hope you enjoyed the latest & stayed tuned. ← Yum to the Cha at House of Crabs!